Asking a room full of people about their dream travel locations would surely result in all sorts of answers, spanning the globe from end to end. But there's no question that one destination reigns supreme in the hearts of children and adults alike. Sure, there are romantic beaches and exotic lands and ancient, historical ruins and more, but let's face it. Nothing, and I mean nothing, compares to Disney World. However, even though everyone (who doesn't live under a rock) knows that Disney World is split into four theme parks — Magic Kingdom, Epcot, Disney's Hollywood Studios and Disney's Animal Kingdom — there is no question that Magic Kingdom reigns supreme. The iconic castle, the beloved rides, the adored parade... it is the location of magical memories ever since Walt Disney World Resort opened in October of 1971. But... what about those other three parks? If you plan your next visit to Disney World and leave them out, you'll be missing all sorts of attractions, entertainment, dining, and more! 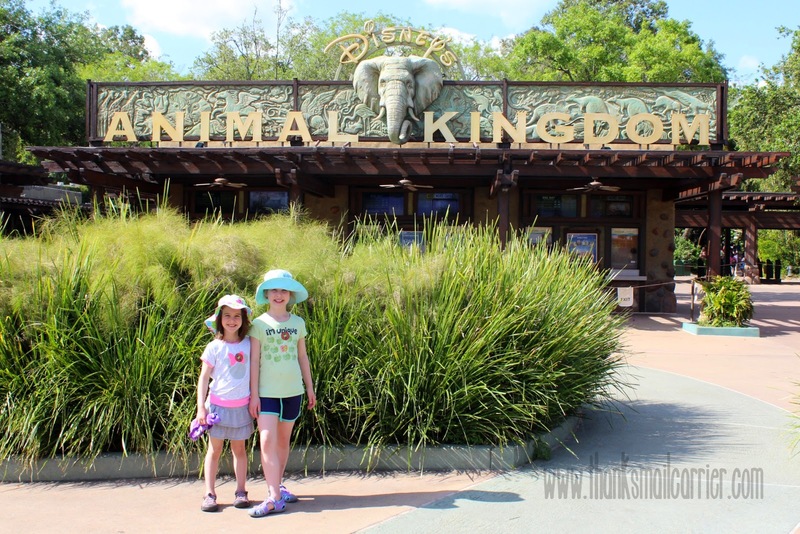 And, when it comes to Disney's Animal Kingdom park, you won't have a chance to encounter exotic animals, have exciting adventures, experience Walt Disney's dedication to conservation, animal care, education, research, and more at the same time! There's something for everyone! Whether you visit Disney's Animal Kingdom to see the animals (it is home to more than 1,700 animals across 250 species, making it one of the largest animal theme parks in the world), experience high-speed thrill rides, enjoy savory meals, watch Broadway-style musicals... it's all here. Ideal for the entire family, the Kilimanjaro Safaris is one of the park's most popular rides — meaning the line can get a bit long at times (so utilizing the FastPass+ service is a great idea). But once you are bumping along in an open-air vehicle in the Harambe Wildlife Reserve, all that will be on your mind is the lush African savanna and the plethora of wildlife that you'll see roaming free! Truly, each time you ride through this 110-acre sanctuary (dedicated to the protection of the animals), the experience is different. After all, who knows what the animals will be doing as you peek into their natural habitat and what quips your humorous tour guide/driver will have saved up? I love seeing the looks on my kids' faces as they peer through the open plains, shady forest landscapes and rocky wetlands to excitedly point out every antelope, rhino, elephant, flamingo, gazelle, warthog, wildebeest and more that they see! While it seems that the animals are more likely to be up moving around earlier or later in the day, there really is no wrong time to hop aboard this 18-minute expedition for an unforgettable wildlife adventure. I'm lucky to have seen a variety of Broadway shows in my lifetime (both on Broadway and off), and seeing Disney's musical version of the hit film Finding Nemo ranks up there among my absolute favorite. This 40-minute show is filled with vibrant sets, large, extraordinary puppets, extremely talented puppeteers, and incredible effects that almost make you forget that you are watching a stage and not an underwater amphitheater. The characters move in and out of the audience, soar through the air with ease, and perform amazing musical numbers that will leave you humming for hours afterward. 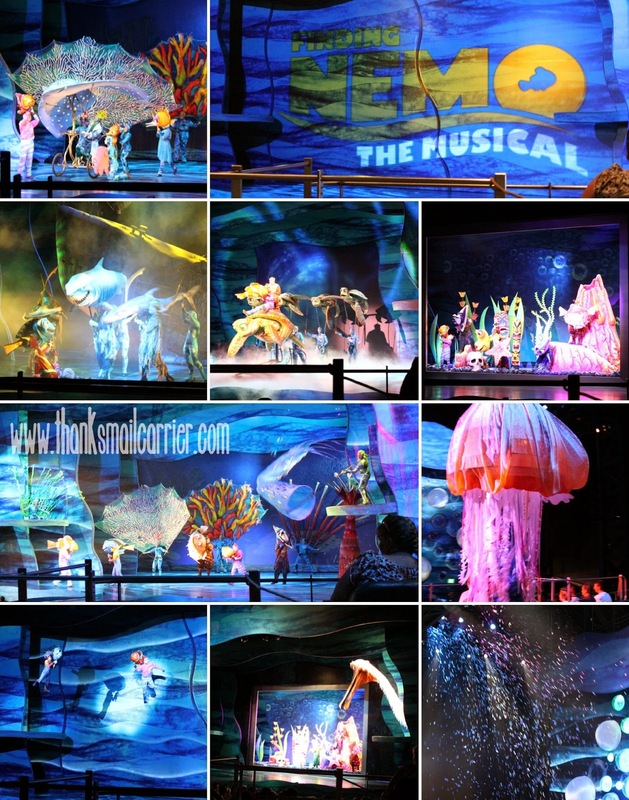 This is one show that is nearly guaranteed to be a hit with adults as well as children... who, if they weren't already excited enough about seeing their favorite Finding Nemo characters in larger-than-life form, have the added bonus of giggling nonstop as bubbles rain down at the end of the show. 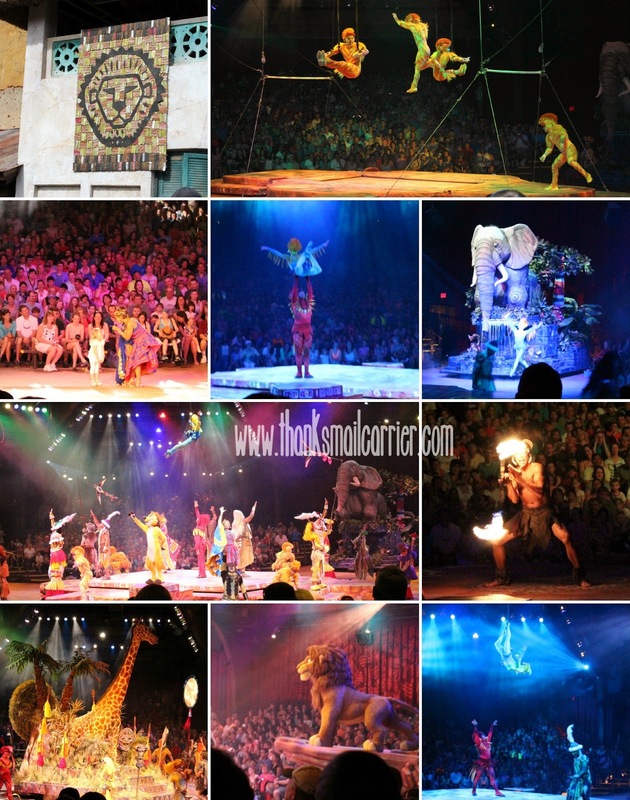 The perfect combination of pageantry and puppetry, Festival of the Lion King is an interactive show that takes place in a round, air conditioned theater (you can see from every angle!) and pulls out all the stops: puppets, dancers, acrobats, singing, fire juggling, ballet, and more. Get lucky to have ground floor front row seats and you just might find yourself a part of the action as well! From the tribal celebration (audience members are split into groups to act like a lion, giraffe, warthog or elephant) to the tumbling "monkeys" performing gymnastic feats to the aerial bird ballet danced to Can You Feel the Love Tonight? it is almost difficult to decide where to look throughout this 30-minute show. The colors! The music! Timon, Pumba and Simba! 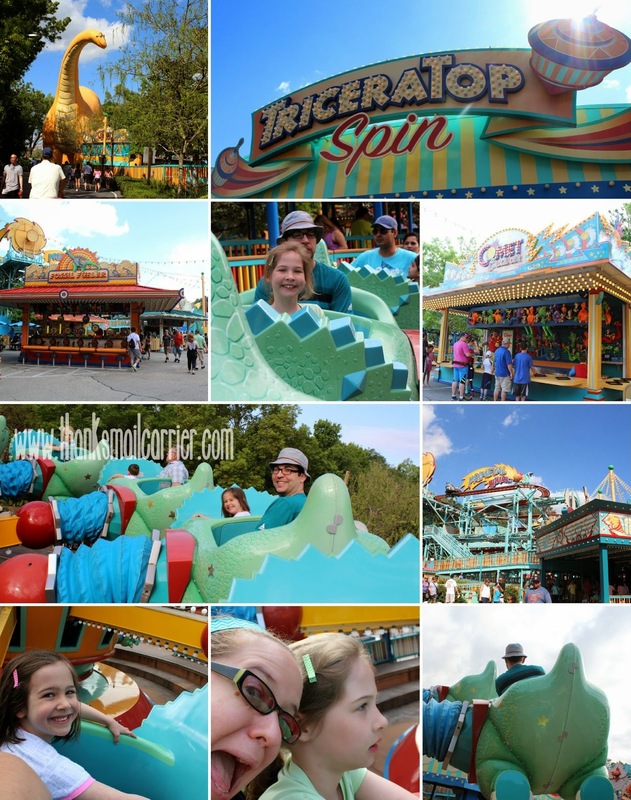 Located with Chester and Hester's Dino-Rama (a small, dinosaur-themed area of the park that includes a handful of carnival games for people like me who have carnie aspirations), TriceraTop Spin is Animal Kingdom's version of Dumbo, Astro Orbiter or The Magic Carpets of Aladdin from Magic Kingdom. Up, down, circle, circle, up, down... but while the concept may not be all that unique, there is something magical about being able to control your own triceratops as you soar around and around. My kids couldn't ride TriceraTop Spin enough and giggled with delight each time they took control of pushing and pulling on the lever to make us fly! 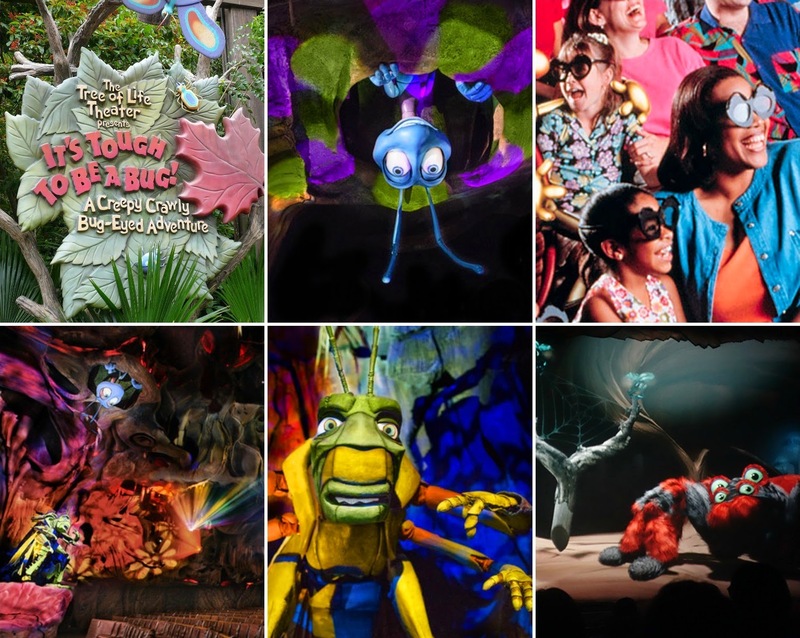 Turning a traditional show into 4D magic like only Disney can, It's Tough to be a Bug! stars everyone's favorite characters from A Bug's Life. Audience members are given a pair of "bug eye" 3D glasses upon entering and, after a brief introduction by Flik himself, the glasses are put on and the show begins. Along with the realistic 3D effects, the extras that Disney adds in during the show (e.g. feeling the "acid spray" from a soldier termite and smelling the not-so-pretty stench from a stink bug) make you feel as though you are truly a part of the action. Big Sister E adores 3D (and 4D) and spent the majority of It's Tough to be a Bug! on the edge of her seat reaching out to "grab" at characters and items that were seemingly right in front of our noses. Little Sister B, on the other hand, is still frightened at times of special effects and, combined with the "scary" parts of this show (Hopper, the grasshopper villain, plays his usual evil role), led to her removing her glasses at times and going so far as to close her eyes completely when the activity got too much for her. However, by the end she had garnered enough courage and was tentatively reaching out for 3D objects... and even declared that she loved the entire thing! Fun fact: Construction on It's Tough to be a Bug! was finished before A Bug's Life was complete, therefore making it so that Flik and Hopper were making public appearances at Disney World months before the movie even came out! Photos ©Walt Disney World, as taking photos in the dark with 3D glasses on was too complicated for me! Although I assume that at some point my children will get to an age when they don't want to wait in line for the chance to hug Mickey and Minnie, get a high five from Goofy and Pluto, or skip with excitement over getting an autograph from Donald and Daisy, we haven't reached it. For now, they were just as giddy as ever to see (after relatively short lines!) Mickey and Minnie, Russell and Doug, Rafiki and more! Walt Disney once said, "You can dream, create, design and build the most wonderful place in the world... but it requires people to make the dream a reality," and, all these years later, Walt Disney World Resort has made it all come true as one of the top vacation destinations on earth. This is one location where the entire family can enjoy incredible sights and sounds, receive legendary service, and head home with experiences and memories that will last a lifetime... no matter which of their parks you visit! Be sure to visit DisneyWorld.com to see in-depth information on all things Disney and connect with them on Facebook, Twitter and Instagram as well. Disney World is open every single day of the year, when is the next time you are heading over to experience their attractions, entertainment, animals, dining, magic and more? 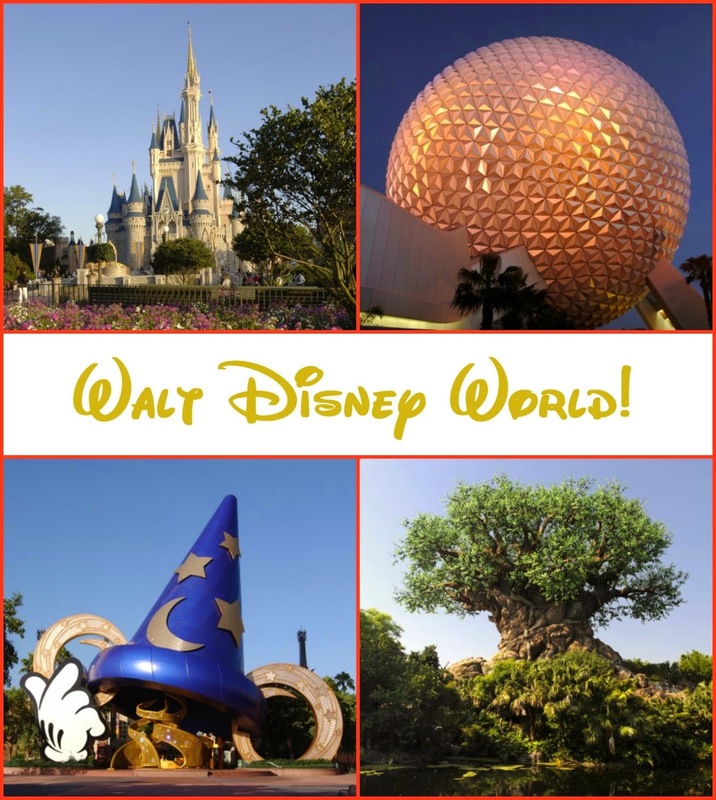 I was provided complimentary passes for Disney World Resort in order to help facilitate this review, but they in no way affected the amazing time that we had and my honest opinions in this post. I haven't been there in 40 years. So many new things since then. Sadly we have never been here once yet, but I sure do hope to make here within the next year for the kids, so many awesome things to do and see hear, a dream vacation. We love spending time at WDW. Every 4-5 years we take the RV down and stay at the Fort Wilderness Campground for a month or 6 weeks. A long stay lets you relax and see all the behind the scenes things and relish the things you enjoy. I would LOVE to take the kids here. We hope to be able to next year! Nice review!!! I have a cousin who's going to here this summer so I can give them some suggestions now!!! It has been many years since I went to Disney World. My parents took us when I was young. Wish I could go back with my kids sometime soon. 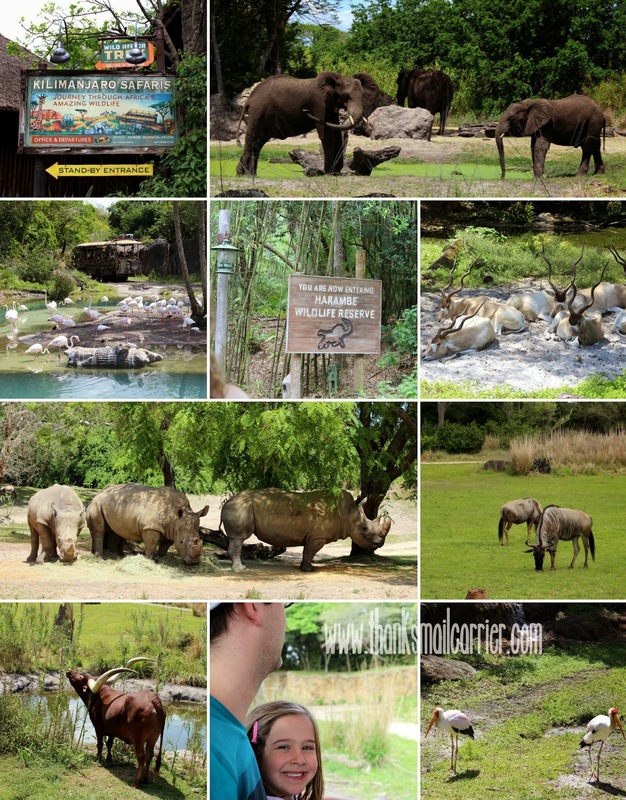 Been to Disney World several times and The Animal Kingdom was one of the better parks. Even when my kids were young they wanted to either go to the Animal Kingdom or to Epcot. We've never been to Disney World, but it looks like so much fun! It has been 13 years since I've been to all 5 Disney attractions! I'm sure much has changed but it looks as much fun as it was! I've never been to Disney World. I would love to be able to go with my 5 year old grandson. He would especially like the Animal Kingdom park! I have never been there before, would love to go! This looks like such an amazing trip! i used to go with my family when I was little, but it has changed so much since I was there. I can't wait to go again.